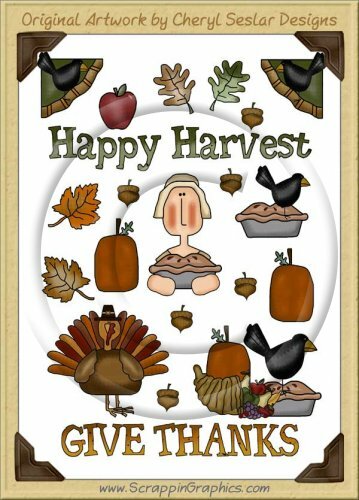 This collection of 17 adorable and cute Thanksgiving clip art graphic come in one sheet. Great collection for making scrapbook pages, cards, labels, tags, invitations, and other printables. Graphics cannot be separated to create new clip art sets for resale.